The world's tallest teenager has reached a record-breaking height of 7ft 8ins - and he's still growing. 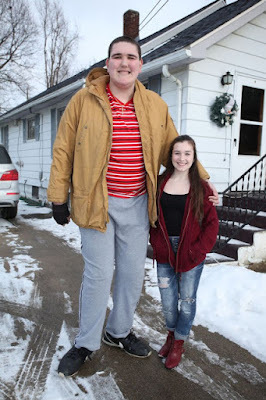 Broc Brown, who was officially the world's tallest teenager before becoming too old for the 18-and-below classification, is growing at the rate of six inches a year. 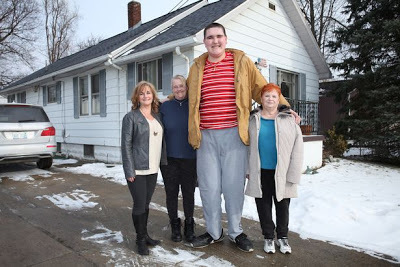 If he maintains that rate, the 19-year-old from Michigan could easily surpass the current world's tallest man, Sultan Kosen, who stands at 8ft 2ins. 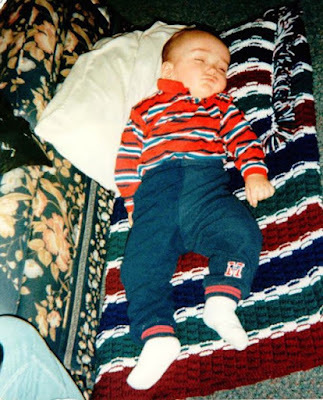 He was diagnosed with Sotos Syndrome, known as cerebral gigantism, when he was just five-years-old and his mother was told that he would not outlive his teenage years. 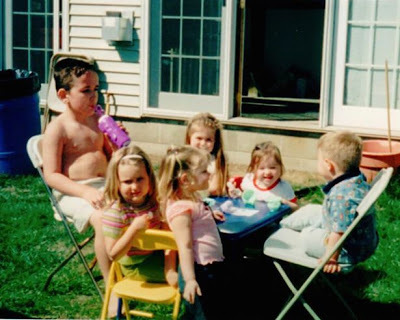 The condition effects one in every 15,000 people but doctors are now confident that Broc will have a normal life span despite his health problems . Along with his gigantism Broc also suffers from learning difficulties, strain on his heart, curvature of the spine and narrowing of the spinal cord. He was also born with one kidney so is unable to take painkillers despite suffering constantly with his back.